Perhaps you’ve hunted for geodes or purchased polished crystals at a toy store. Did you know, though, that crystals are everywhere? Rocks are made of crystals. The sand in your sandbox is probably made of crushed quartz crystals. Sugar and salt are both made of crystals, too. Sometimes crystals grow in underground caves. In 2000, miners working in a lead mine in Chihuahua Province, Mexico discovered a cave containing huge crystals. Some are 30 feet long or more. Gemstones are transparent crystals that can be cut to make them sparkle even more. Some crystals, such as diamonds, are harder than others. Crystals are rated on the Mohs scale of mineral hardness, according to their hardness. Talc is the softest mineral and is given a score of 1. Diamonds are the hardest mineral and score a 10. Your fingernail would rate a 2, and gold and silver rate between 2 and 3. Beryl, or precious emerald, is a green or blue-green crystal that forms deep within the ground. Some emeralds grow to the size of a car. Beryl is rated 7.5 to 8. 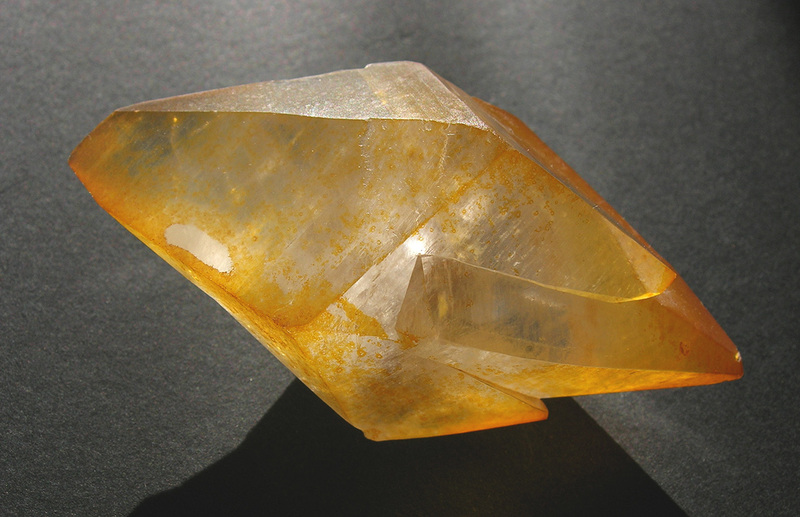 Calcite is a soft crystal that often forms limestone. Calcite ranks a 3 on the hardness scale. Fluorite has a hardness rating of 4. These interesting crystals may be green or purple and some of them glow under ultraviolet light. Garnets are usually bright red or deep red. These hard crystals form under intense heat and pressure. Rated 6.5 to 7.5 on the hardness scale. 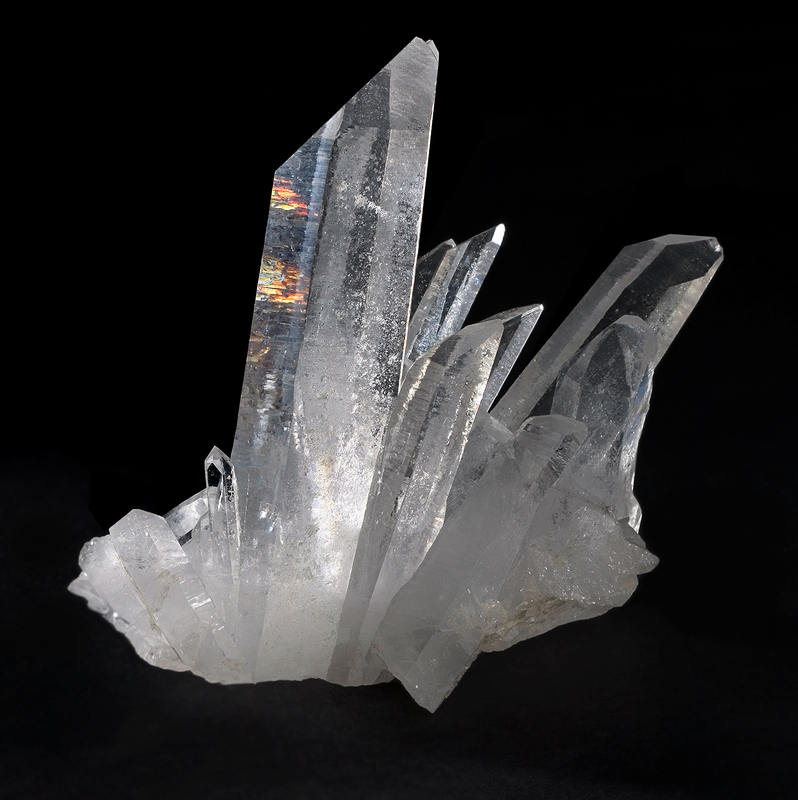 Quartz is one of the most common crystals, found in most continental rocks. It comes in many colors, including white, yellow, or purple, which is known as amethyst. Quartz rates a 7 on the hardness scale. Pyrite, or fool’s gold is made from iron and sulfur. It has a sparkly gold color that has fooled people into thinking it’s gold. How to tell the difference? Scratch pyrite with steel and it sparks. Tourmaline forms long crystals in almost any color. This video shows the different types of quartz crystals, their properties and uses. Question: How do people find crystals? Answer: Sometimes crystals, such as geodes, can be found in ordinary rocks. You can hunt for rocks – known as rockhounding – on most public lands, but check first. Almost 50 percent of diamonds in the world come from mines in Africa. However, if you visit Crater of Diamonds State Park in Arkansas, you can hunt for diamonds yourself – and keep any that you find. Enjoyed the Geography for Kids all about the Types of Crystals info? Take the FREE & fun all about the Types of Crystals quiz and download the FREE all about the Types of Crystals worksheet for kids. For lengthy info click here. Declan, Tobin. " Crystal Fun Facts for Kids ." Easy Science for Kids, Apr 2019. Web. 24 Apr 2019. < https://easyscienceforkids.com/all-about-the-types-of-crystals/ >.